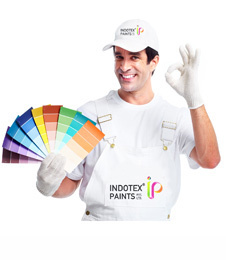 About Indotex Paints Pvt. Ltd.
INDOTEX PAINTS came to existence with the sole goal to be a provider of Quality and Durable products based on latest available technology to enhance the satisfaction of our clientele. We strive hard to provide large range of products & pricing so as to match every budget. We work towards enhancing our clientele’s experience by catering to their paint, coating, texture & ancillary need that they may come across. Our work reflects our reliability, commitment to quality and excellent performance in the Building & Paint Industry as we now Paint Beyond COLOR.